Modern, new, and sparkling clean, our St. Charles climate-controlled storage facility has the features you will surely appreciate any time of the year. 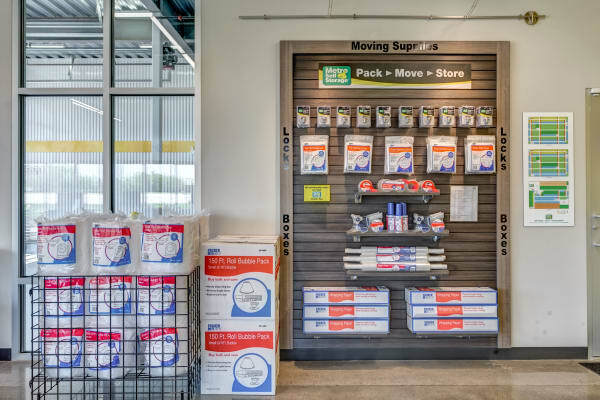 Drive-in, double-bay interior loading areas are designed to keep you and your items safe from winter snow storms, humid weather, and rain storms while moving into your storage unit. When it comes time to prepare for your move, we make it easy with sturdy moving boxes for sale in our office. Our interior loading areas can accommodate your Penske or U-Haul moving truck rental as well as professional moving trucks. Industrial strength moving carts are on hand to make it easier to move heavy and bulky items into your storage unit. Metro Self Storage in St. Charles is open Sunday making it easy to access your items seven days a week. Additionally, a qualified storage team is here to help you choose the right storage solution for your belongings. Reserve your unit online or give us a call today to learn more about your climate-controlled storage options in St. Charles, Illinois.